Cassidy Baldridge is a junior at Lakewood High School and is also apart of the Lakewood Volleyball Program. 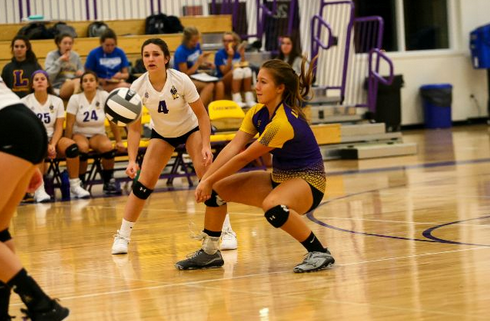 She has been on the varsity team for three years and has been the varsity libero for two years. Cassidy is also very dedicated to her school work as well. I got to sit down with Cassidy and ask her a few questions. Q. What are some of your biggest highlights? A. Winning our first game in two years and getting to travel to Indiana for volleyball. A. To play at the collegiate level. Q. How do you manage to balance your academics and volleyball? A. I always make sure I have time to complete my work in school and if I have more homework than usual, I do it before games or even on the bus. Q. Do you play any other sports here at Lakewood? A. i do swimming in the winter, but other than that no. Q. What is your favorite volleyball memory so far? A.My favorite memory so far was singing on the bus rides home my freshman year. Q. What professional volleyball player do you look up to the most? A. I look up to Missy Franklin because she was so young when she accomplished so much and went to the Olympic Trials at 13 years old. Q. How long have you been playing volleyball? A. I have been playing since the seventh grade. Q. What is the importance of being a student athlete? A. Being a student athlete is an amazing experience. It allows you to be a part of something and make so many friends and fun memories. It also teaches you how to manage your time and be mature about it. It teaches you to be a good student and a good athlete. Cassidy is an amazing student and an even better athlete. She is an amazing role model for all of the future Lakewood High School student athletes, or even the student athletes that play now!